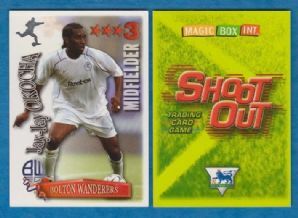 Football card issued by Magic Box Int under the Shoot Out 2003-04 series. Measures approximately 6.2 x 8.7cm. 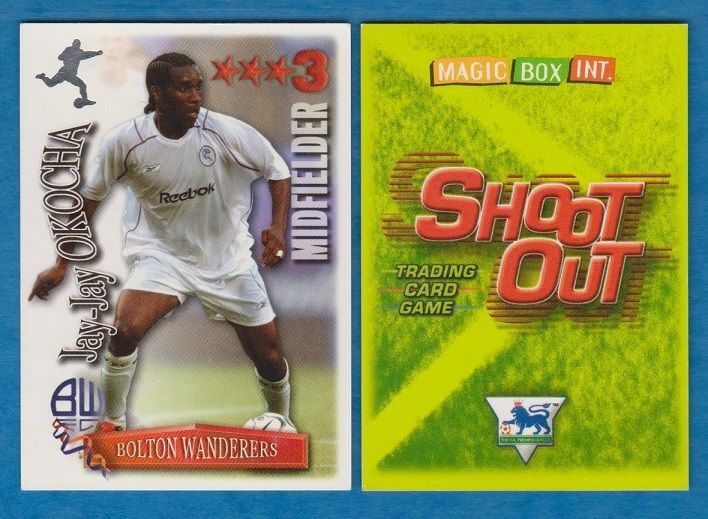 Depicting the Bolton Wanderers and Nigeria star Jay-Jay Okocha.